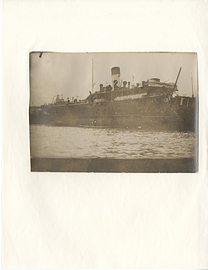 View of Sussex from the front, photograph. 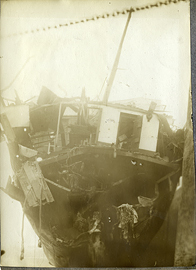 View of the damage of the S.S. Sussex, photograph. 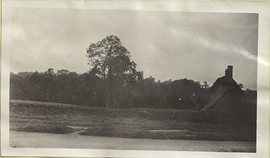 View of the English Countryside with Cottage, photograph. View of the River Wye from Symonds Station, postcard. 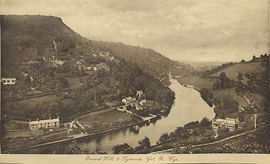 View of the Wye River and Valley from the Symonds Yat, postcard. 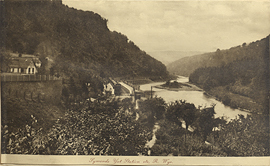 View of the Wye River and Valley, postcard. W.G. 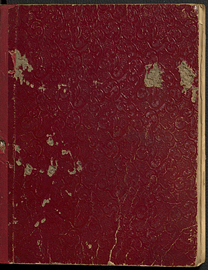 Penfield., American Red Cross Hospital, 6 Rue Piccini, Paris., Peter Bent Bigham Hospital, Boston, notebook. 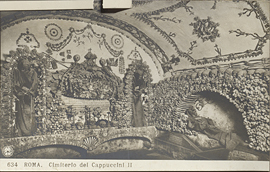 Wall of one of the crypts in the Capuchin Catacombs in Rome, postcard. 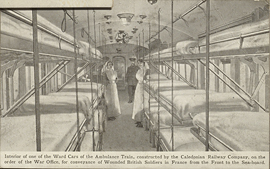 Ward Car of a World War I Ambulance Train, postcard. 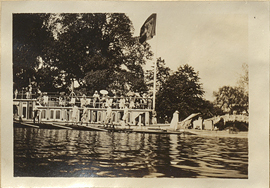 Ward of R.V. 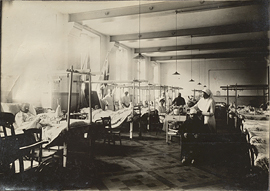 76 Military Hospital in Ris-Orangis, France apparently belonging to a Dr. Desjardins, photograph. 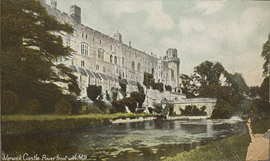 Warwick Castle, River front with Mill, postcard. 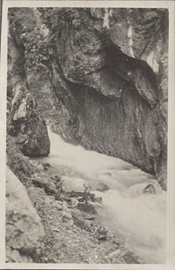 Water and rock in the Swiss Alps, photograph. 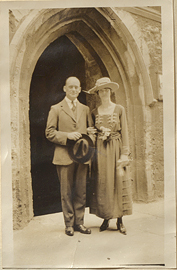 Wedding of Chester and Norma Easem, photograph. 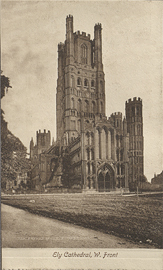 West end of Ely Cathedral, postcard.